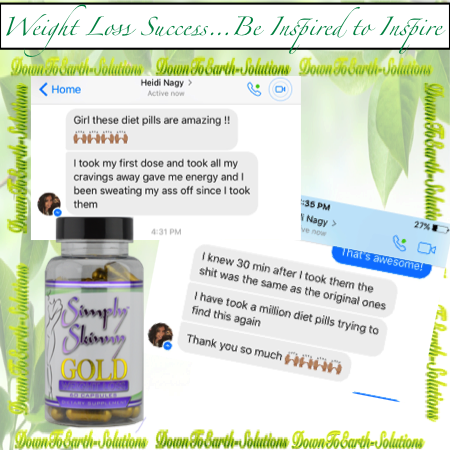 Ang started taking these on March 24th! 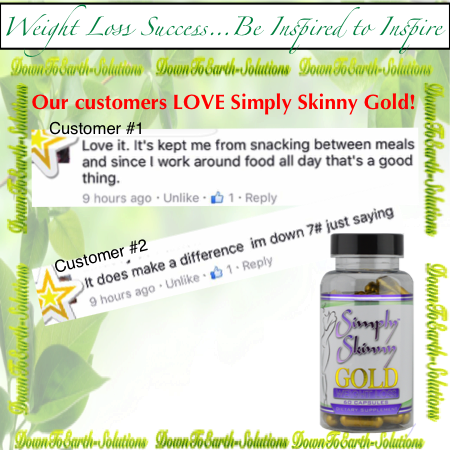 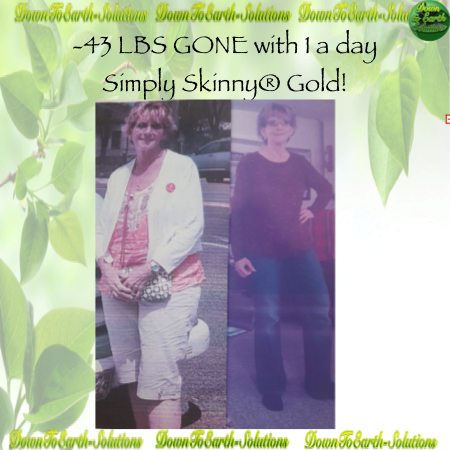 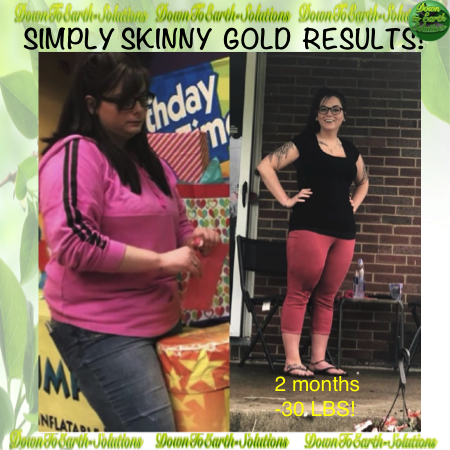 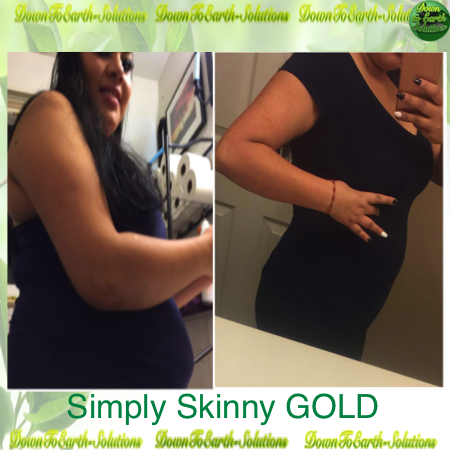 Simply Skinny® Gold & Elite RESULTS! 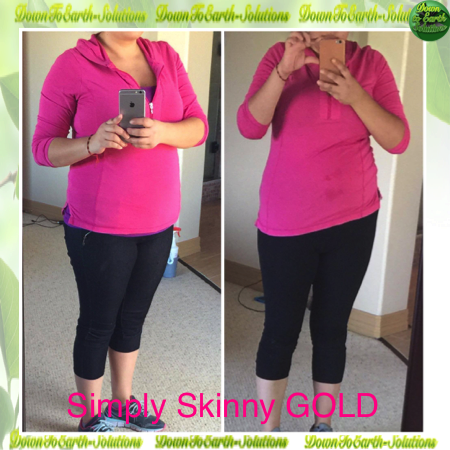 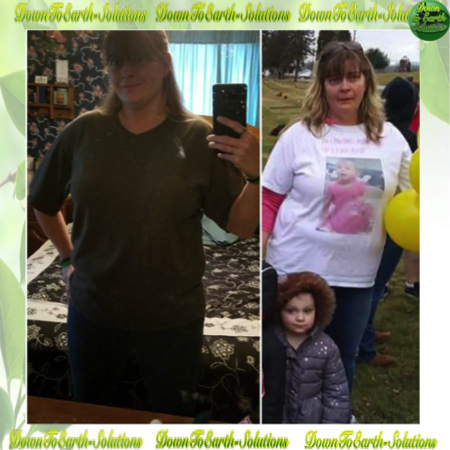 She's been taking Simply Skinny® Gold for 2 months, she's lost 12 lbs total and a ton of inches in her belly.. going from a size 9 pants to a 5!! 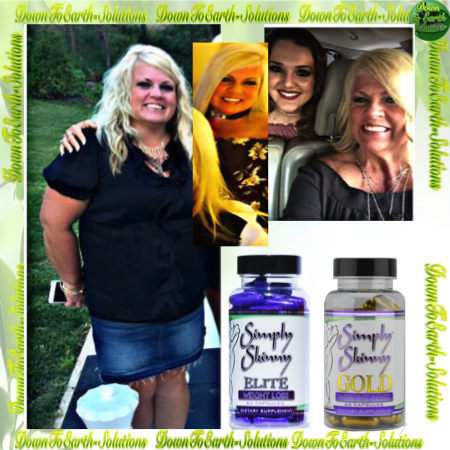 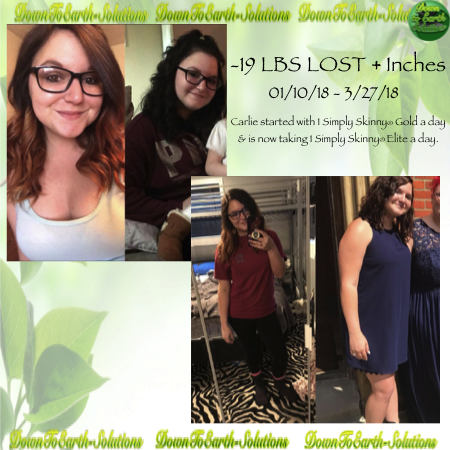 She's been taking Simply Skinny® Gold for 2 weeks, 2 capsules in the am and she has went from 199.6 to 189.6 and has lost a ton of inches in her belly! 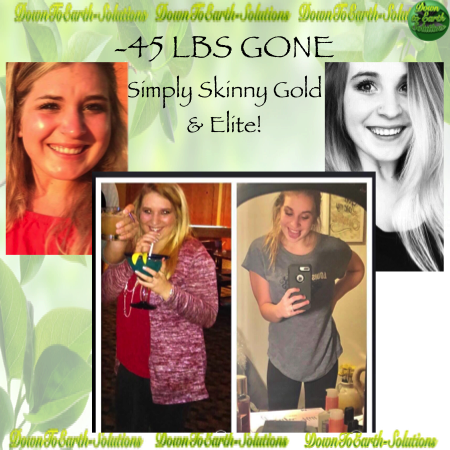 She has lost 40+ lbs and lots of inches from Simply Skinny® Elite, Simply Skinny® Gold and she absolutely loves the Simply Skinny Flush! 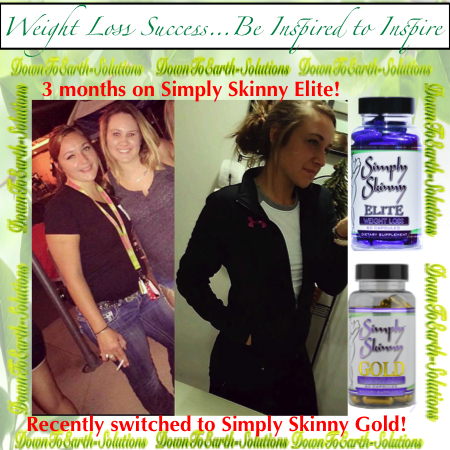 She uses the Simply Skinny Flush to jump start her weight loss when she feels like she has hit a plateau. 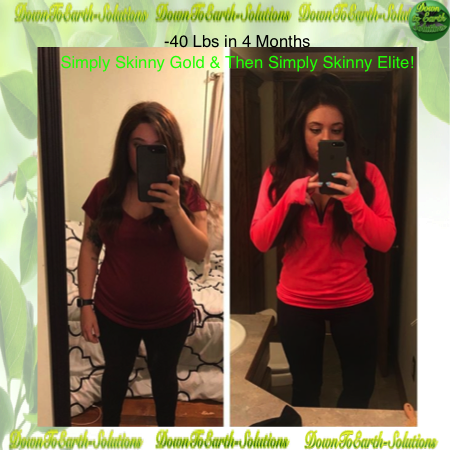 This before/after is in 7 months and it was from being consistent every day and taking the supplement. 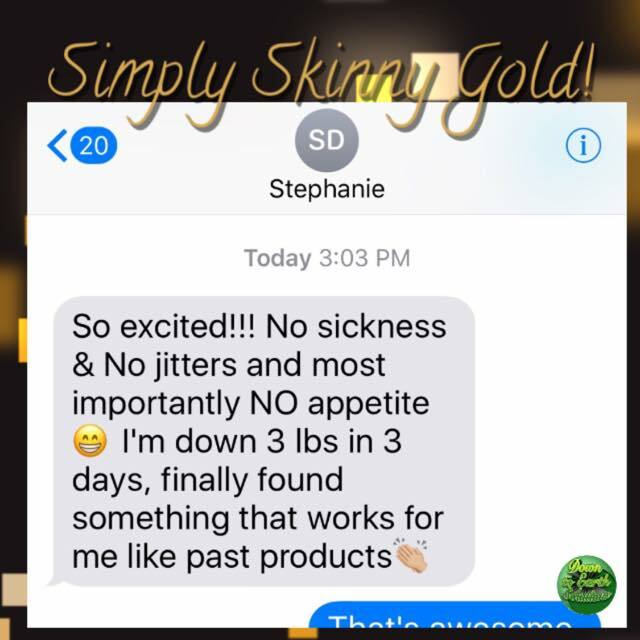 It was from no dieting!! 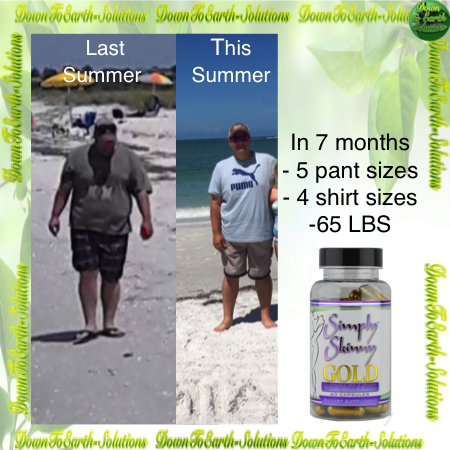 Chris has not only lost 65 lbs in 7 months but he is also down 5 pant sizes and 4 shirt sizes. 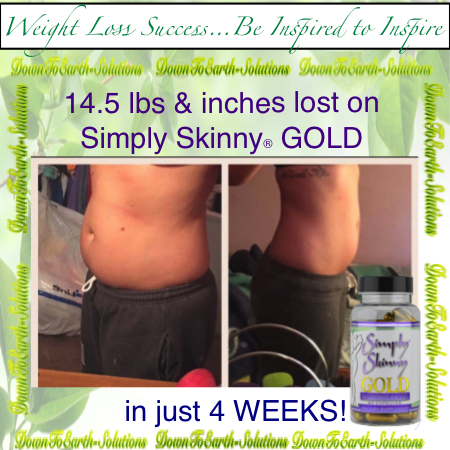 He takes 2 capsules of Simply Skinny® Gold in the morning and drinks plenty of water. 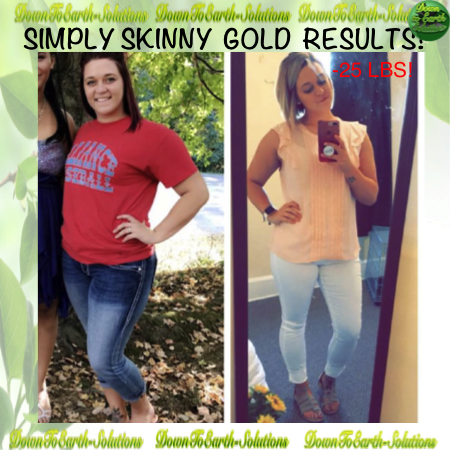 He says "Stick with it, you can do it!"